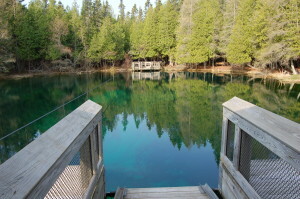 Michigan’s Upper Peninsula is well-known and highly regarded for its unspoiled natural beauty. Life north of the Mackinac Bridge happens at a slower pace, and big cities are few and far between. We’ve been visiting “God’s Country” on vacations since we were old enough to walk, and places like Pictured Rocks National Lakeshore and Porcupine Mountains Wilderness State Park are among the first we recommend to friends and family that haven’t spent much time in the U.P. Lonelyplanet.com recently named the U.P. to its list of the Top Ten Best Value/Best in Travel list. To help out anyone looking to bring children along on their vacation, we decided to put together a list of what we’ve found to be the 10 best Upper Peninsula spots for family fun. We based this list on attractions, available lodging, food options, history, scenery and more. 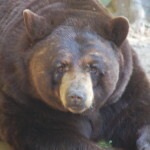 Links to information on sites mentioned are provided, as well as much of our personal experience as possible. Enjoy this list of the top 10 family friendly Upper Peninsula destinations! Sault Ste. 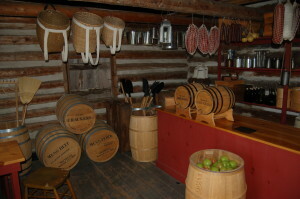 Marie – The oldest city in Michigan has no shortage of family attractions. 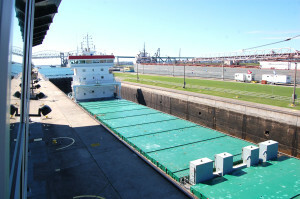 The must-see stop is of course the Soo Locks, where you can view large ships up close as they are raised or lowered 21 feet to make the journey on the St. Mary’s River between Lake Huron and Lake Superior. The visitor center has many interesting displays as well as a daily scheduled of expected arrivals. 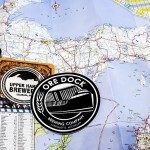 Check out our post about the best places in town to see freighters for a few less-crowded options. Across the street from the locks you can find a variety of local shops, restaurant, mini golf and more. The Tower of History Museum offers visitors the chance to view the city from 210 feet above it, and the Museum Ship Valley Camp lets you see what life was like on a 550 foot Great Lakes ore freighter. Other historic sites include the River of History Museum and Historic Water Street homes. Soo Locks Boat Tours takes guests on a trip through the locks while also noting other points of interest on the river. Campers can settle in at Soo Locks Campground or Aune-Osborn Campground, and there is no shortage of local chain hotels as well as mom-and-pop operations. Some of the most talked about local restaurants are The Antlers, West Pier Drive-In, Clyde’s Drive-In, Lockview Restaurant and Karl’s Cuisine, Winery and Brewery. 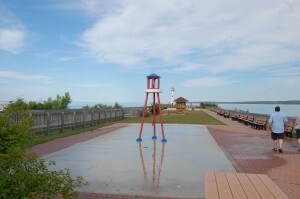 Brimley State Park and the Point Iroquois Light Station are about a half hour’s drive to the west. Marquette – It’s no surprise that the largest city in the Upper Peninsula (population 21,000+) is home to many big-city conveniences. While you’ll find major chain hotels, plenty of fast food restaurants and stores like Wal-Mart and Meijer (soon) here, you’ll also find plenty of unique local attractions and a never-ending supply of outdoor recreation opportunities. 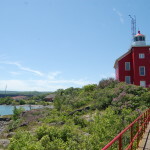 Presque Isle Park is home to the upper harbor ore dock where large freighters load, hiking trails, a lighthouse, miles of unspoiled Lake Superior shoreline and more. Mattson Lower Harbor Park has a large playground and lots of open space. In town check out the Marquette Maritime Museum and Marquette Harbor Lighthouse, and the Upper Peninsula Children’s Museum. There are plenty of other parks (McCarty’s Cove is a favorite of ours) and opportunities for adventurous hikes like Sugarloaf Mountain, Little Presque Isle and Dead River Falls. North of town CR-550 heads to Big Bay, home to a historic lighthouse. 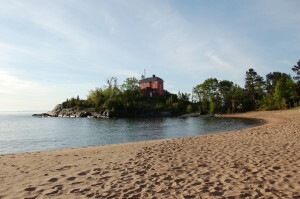 Campers can set up at the Marquette Tourist Park, which is close to the lake and not far from downtown. West of Marquette is Lakenenland, a unique Michigan attraction featuring junk art sculpture. In the winter, Marquette Mountain is a great stop for skiers. 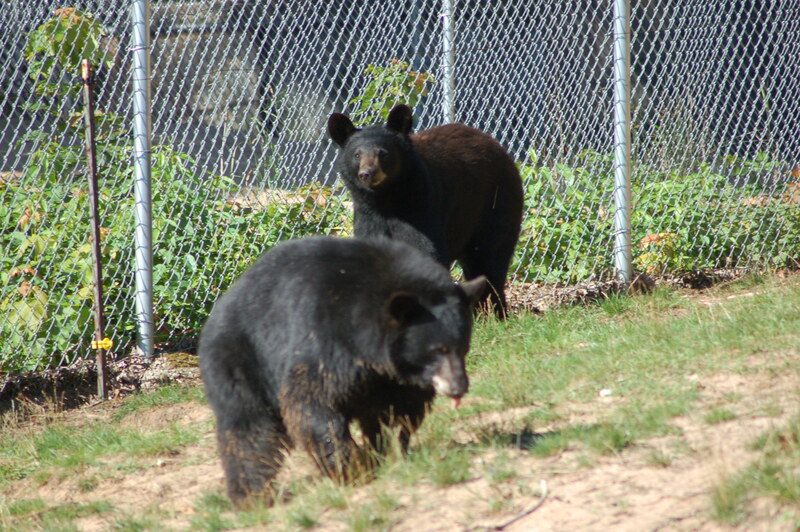 Newberry/Paradise – Newberry is home to Oswald’s Bear Ranch, a great place for kids to get up-close views of more than 25 black bears. North of town is the Tahquamenon Logging Museum, which is home to logging artifcats, a natural trail, and special events throughout the summer. Head north/east of town to visit Tahquamenon Falls State Park, home to the state’s largest waterfall and a large campground. Enjoy extra fun by renting a rowboat and taking it out to Lower Tahquamenon Falls, several drops that surround an island in the Tahquamenon River. 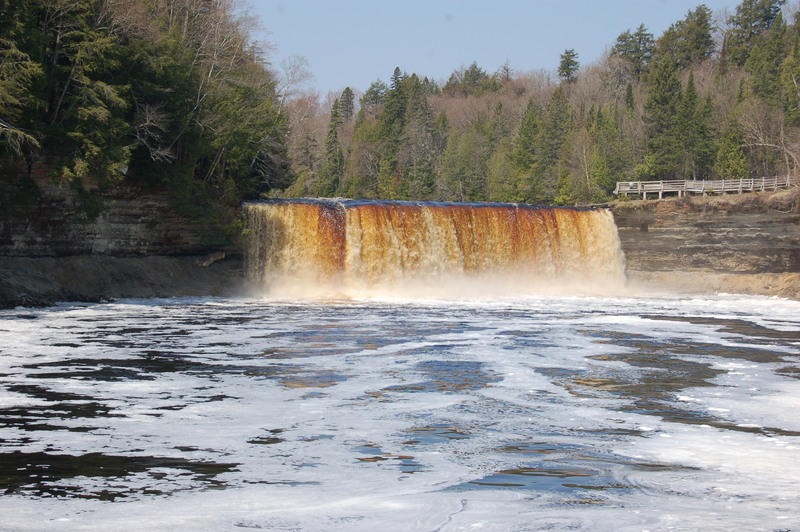 For a different way to visit the park and falls check out the Toonerville Trolley and Tahquamenon Falls Riverboat Tours. 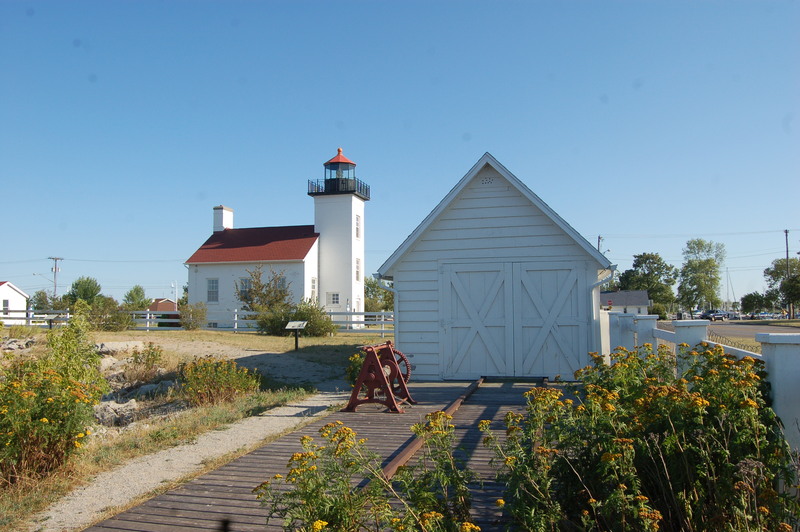 East of the park in Paradise you can find the Whitefish Point Light Station and Great Lakes Shipwreck Museum as well as the Whitefish Point Bird Observatory. Escanaba – Michigan’s only state fair, the U.P. State Fair, takes place here in August. Ludington Park is a favorite for both locals and visitors, and the historic Sand Point Lighthouse (open for tours) is just down the street. There are local food options like Hereford & Hops as well as the usual chain restaurants, stores, and plenty of lodging options. J.W. 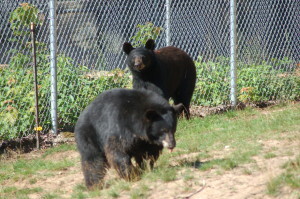 Wells State Park isn’t far away, and the DeYoung Family Zoo can be reached in an hour. Outdoor recreation opportunities are highlighted by fishing, kayaking and boating on Little Bay de Noc. 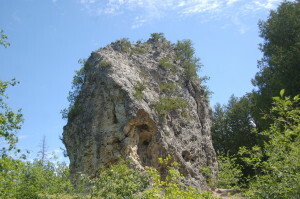 Houghton/Hancock – Top attractions in this area include McLain State Park (beach, lighthouse, campground, hiking trails), the Quincy Mine, the A.E. Seaman Mineral Museum and more. Home to two colleges (Michigan Tech and Finlandia), the area has plenty of chain restaurants as well as local favorites. You’ll find abundant lodging here, and it roughly an hour’s drive north to get into the rugged beauty of the Keweenaw Peninsula. Several sites in Houghton and Hancock are part of the Keweenaw National Historic Park and are related to the area’s mining history. 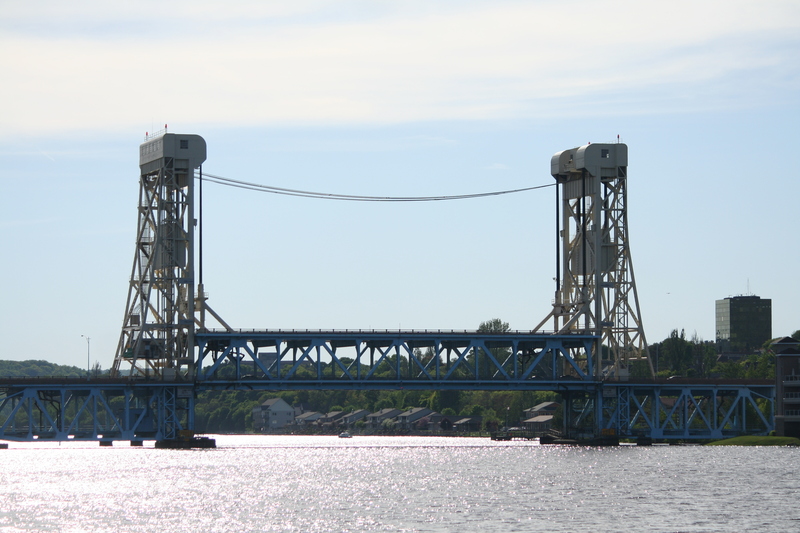 This year’s Bridgefest, celebrating the Portage Lake Lift Bridge that joins the two cities, will take place June 15-18 and features a parade, sports, concerts, fireworks, food and fun. St. Ignace – There are plenty of hotels and food options in St. Ignace, the first city visitors encounter after crossing the Mackinac Bridge. 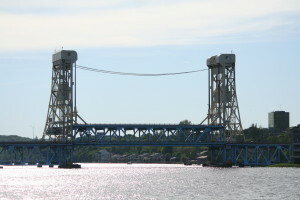 Straits State Park has a large campground and great scenic views of the bridge, the Father Marquette National Memorial pays tribute to the French Jesuit missionary who founded Sault Ste. Marie and St. Ignace. Check out the views from the top of Castle Rock (and be sure to say hi to Paul Bunyan and Babe the Blue Ox), or take the kids to see the deer at the Deer Ranch west of town. Downtown is home to the Wawatam Lighthouse, Huron Boardwalk, shops, restaurants, and ferry docks for boats heading to Mackinac Island. 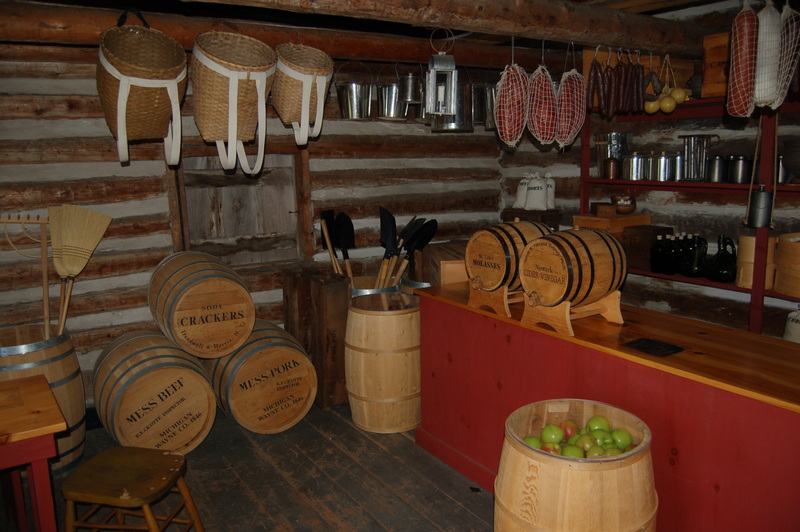 Those into history will enjoy a stop at the Museum of Ojibwa Culture, another unique option for curious visitors is the Mystery Spot just off of US-2. In addition to the state park, camping can also be found at the KOA (plenty of modern amenities available). Mackinac Island – Michigan’s most-visited island is unique in the fact that it doesn’t allow vehicle traffic; visitors check out its sights by walking, biking or riding on horse-drawn carriages. Downtown is full of shops and the island’s famous fudge, while nearby Marquette Park offer a large lawn with great views and plenty of space for picnics. You can visit Mackinac Island‘s two historic forts, Fort Mackinac (fee) and Fort Holmes (free), or make your way out to the stunning Sugar Loaf and Arch Rock natural formations. The Original Mackinac Island Butterfly House & Insect World and Wings of Mackinac Butterfly Conservatory are also popular with visitors. The island features many parks and tons of historical destinations. Lodging options range include the stunning Grand Hotel, Mission Point Resort and cottages for rent by the week. You’ll need to catch a ferry with Shepler’s or Star Line from St. Ignace or Mackinaw City, but the trip to the island is part of the fun in visiting (be sure to enjoy the views of the Mackinac Bridge and Round Island Lighthouse/Round Island Passage Light on your way there). Munising – Few places in Michigan (if any) can rival the stunning scenery of Pictured Rocks National Lakeshore. 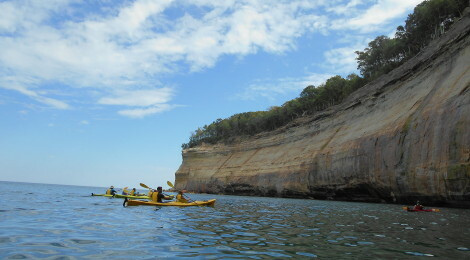 Visitors can see the towering cliffs and some of the waterfalls from the Pictured Rocks Boat Cruises, or get up close and personal by taking a kayak trip with Uncle Ducky Outdoors. The Riptide Ride is a unique on-the-water experience that circles Grand Island, and the Glass Bottom Shipwreck Tours takes visitors on a trip full of history and amazing views. Check out our list of 8 great day hikes at the national lakeshore for more ideas. Short hikes lead to Tannery Falls, Wagner Falls, Memorial Falls and Horseshoe Falls ($) in town. 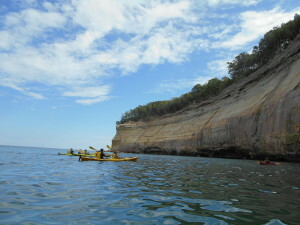 Great day trip stops at the national lakeshore include Miners Castle, Miners Beach, Miners Falls, Munising Falls, Sand Point Beach and the Sand Point Marsh Trail. More adventurous hikes lead to Chapel Fall, Mosquito Falls, Twelvemile Beach, Spray Falls, Chapel Rock and more. 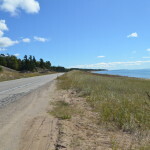 There are many lodging options and restaurants in town, and campers will enjoy Wandering Wheels Campground and the Munising Tourist Park Campground (home of amazing sunsets on Lake Superior). 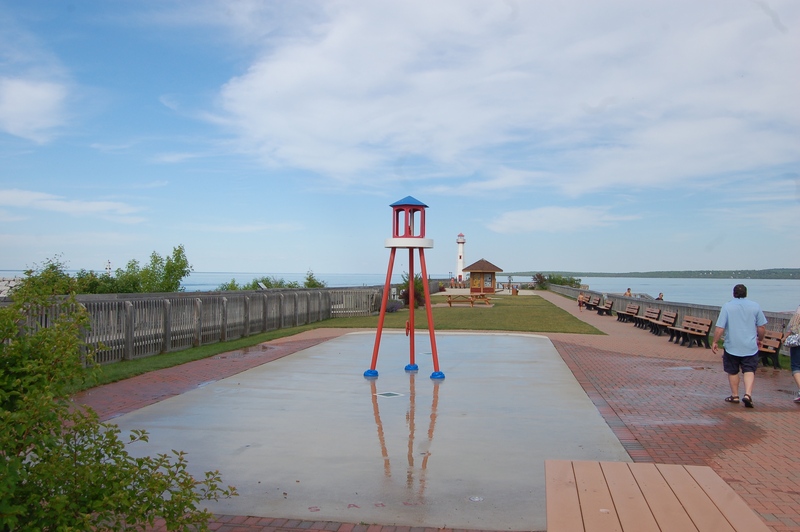 Manistique – This Upper Peninsula town’s boardwalk spans two miles and features a Lake Michigan beach, the Manistique East Breakwater Light, and amazing views. 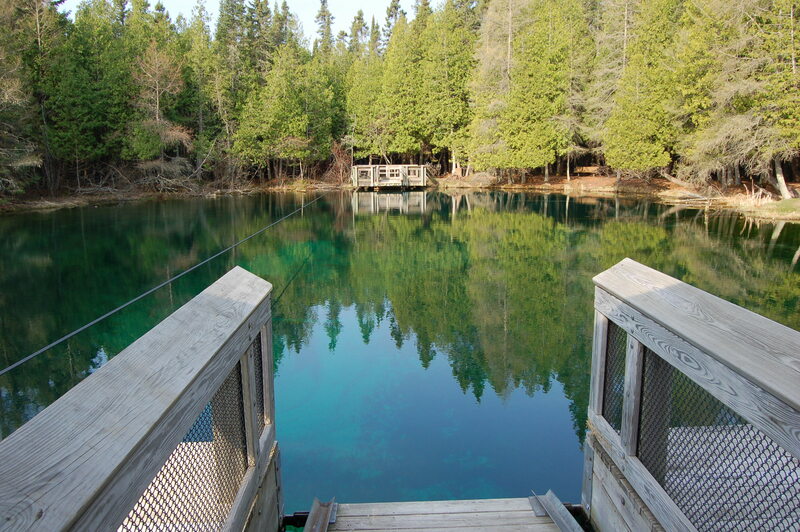 Consider camping at Indian Lake State Park if you’re into fishing or kayaking, and make sure to stop at Palms Book State Park to see Kitch-iti-kipi, the “Big Spring.” A Paul Bunyan statue can be found in front of the local tourism office on US-2. The GarLyn Zoo is less than an hour away to the east.